Lake Pointe Church serves a diverse group of congregants through in-person, live streaming and on-demand worship services. With locations in Dallas, Austin and Corpus Christi, Texas, the multi-campus church is a cornerstone of the state’s faith-based community, and their message extends worldwide reaching nearly 3,000 people online. Chip Acker, Video Director at Lake Pointe Church, noted that since his organization is focused on video production and streaming, it’s important to have high-quality, easy-to-learn equipment that can be used and maintained by the church’s largely volunteer staff. Acker and his team of six content creators produce a range of materials employing a variety of styles and looks from broadcast segments, run-and-gun and last-minute shoots to fully scripted and produced projects, in addition to church services and events. 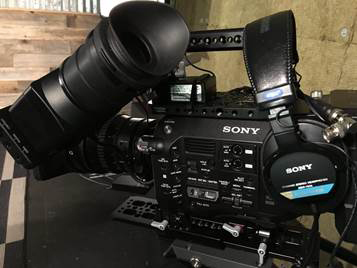 The Lake Pointe team uses Sony 4K cameras — from the FS7 and FS5 camcorders to the full-frame α7S and α7S II interchangeable lens cameras — in nearly every aspect of the ministry’s video production to capture services and events and handle the streaming. After seeing what a successful companion the α7S was to their efforts, the team next purchased an FS7. The video team appreciates the durability of Sony’s cameras, the longevity of their batteries and the reliability of Sony’s SD and XQD media cards, since their travels frequently take them to locations such as Mexico, Ghana, Egypt, South Africa and Asia. They find peace of mind in knowing they can count on Sony to deliver time and again, despite the challenges inherent with each trip, and have found that the wide dynamic range of each of Sony’s cameras makes it much easier to adapt to various shooting conditions and demands.